Once the construction is completed on your verandah or pergola, you’re ready to start making it into a real outdoor living space complete with furniture and décor. While you want an outdoor living space to incorporate the comforts of home, there are also some special considerations, because what works inside just won’t always work outside! Make sure your furniture is designed for outdoor use! Don’t make the mistake of buying indoor furniture. The outdoors is a volatile place, with wild weather conditions that can quickly deteriorate soft covers and fragile furniture. Outdoor furniture and decor is made with durability in mind. After all, the last thing you want is furniture that’s going to become wet and mouldy when wild and stroppy weather pushes water inside your verandah or pergola. Even if there is decent shelter, you never know what can happen, and you don’t want nice furniture ruined. Decorate your verandah or pergola as you would inside. 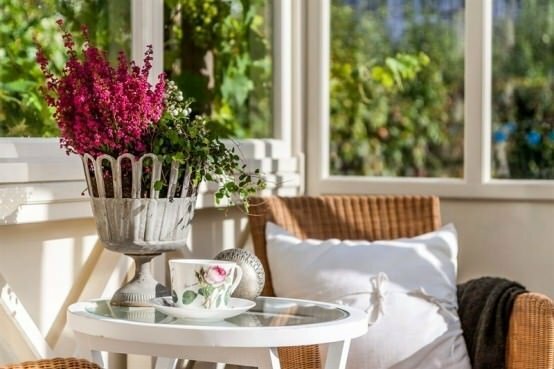 Once you’ve purchased the basic furniture pieces – a table and some comfy chairs are a must – make your verandah or pergola feel homier and cosier by incorporating plants (Australian natives are a great start), cushions, rugs, and plenty more. You can grab all of those products in weather-proof materials now they’ll stand strong whether it’s rainy or scorching hot outside. Add physical comfort to your verandah or pergola to draw your guests outside as much as you can. Add an outdoor heater – a fireplace can add ambiance to your verandah or pergola while providing additional warmth and comfort for the cool evenings when you may still want to enjoy the outdoors. Outdoor lanterns can also make a great contribution to a warm and friendly atmosphere. You don’t want to miss out on your favourite sporting match, or sacrifice spending a gorgeous day outside to watch it inside. So add a television to your verandah or pergola. You will want to get one that is designed for outside as typically these are sturdier, and have reduced glare! Each of the above tips can really help you to bring inside out, while really making the most of your new addition!